Get Up To 30% OFF on Diagnostic Lab Check Up At Home (43 parameters). Diagnostic Lab Check up at Home (43 parameters) which Includes-Liver function test, Thyroid Profile, Lipid test, Kidney Function test, Complete Blood Count, Blood Sugar, Electrolytes Profile, CUE-Complete Urine Analysis, HBAIc, ESR + Haemoglobin and Calcium. For More Details Visit the Landing Page. 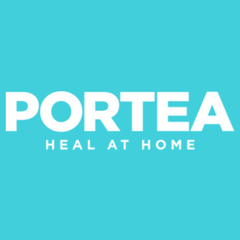 Portea Discount Coupon Code is Not Required to Avail this Offer. Offer Valid For Limited Period.Hurry Up..!! Get 47% Off On Diagnostic Lab Check Up at Home (39 Parameters). Get your Diagnostic Lab Check up which Includes-Liver function test, Thyroid Profile, Lipid test, Kidney Function test, Complete Blood Count, Blood Sugar and Electrolytes Profile done at your home with 47% off. For More Details Visit the Offer Page. Offer Valid For Short Time Period. Hurry Up..! !